Last month, AlphaECC team has finished a shut-down campaign for our Myanmar client on his offshore platform. 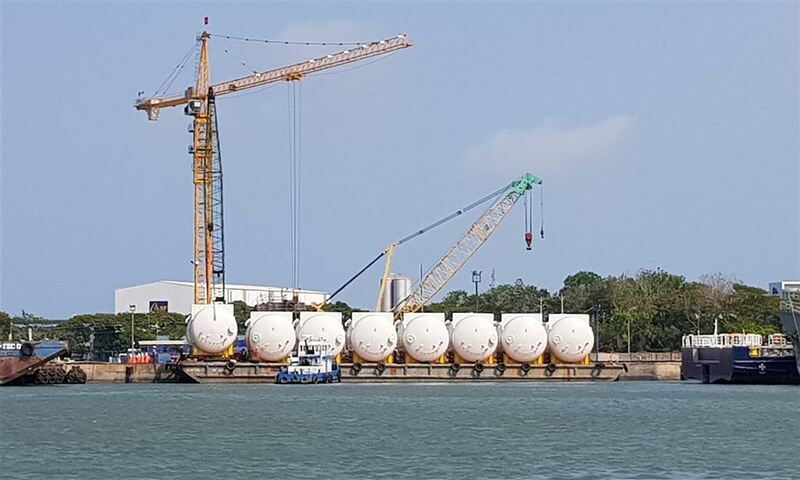 Once again, another lot of bulk tanks has been completed on time while meeting all quality and schedule requirements for transportation to overseas market. In March, AlphaECC organized a safety training course for directors and all mid level managers. This two-day training course is conducted every second year in compliance with Vietnam’s occupational health and safety (OHS) regulations. As its annual activities to welcome New Year 2018 and summarize the outgoing year of 2017, AlphaECC gathered all of its staffs in a celebration party with full of joy. Following the success of the first vessel entry project two years ago, AlphaECC won this type of offshore job in Myanmar.